There has been a lot of talk about young 1899 Hoffenheim head coach, Julian Nagelsmann, this season. The 29-year-old became the youngest head coach in Bundesliga history when he took over from Huub Stevens last season. At the time, Hoffenheim seemed certain to be relegated, but the then 28-year-old turned things around and kept the club in the league. If it had not been for RB Leipzig’s early season heroics, Hoffenheim would have been the club of the season. Located in third place, behind the designated champion from Munich and RB Leipzig, Achtzehn99 hosted Bayern München on matchday 27. 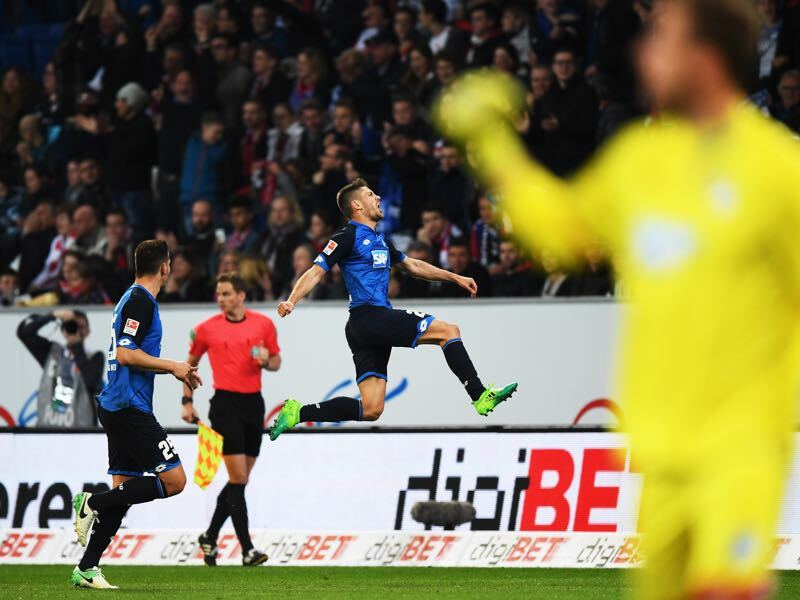 It has indeed been a remarkable turnaround for Hoffenheim who, after a 3-1 victory against Hertha Berlin, seemed destined to reach European football for the first time in the history of the club. In fact, Hoffenheim’s victory against Hertha meant that they were seven points clear of fifth place, meaning that Champions League is more than just a possibility next season. 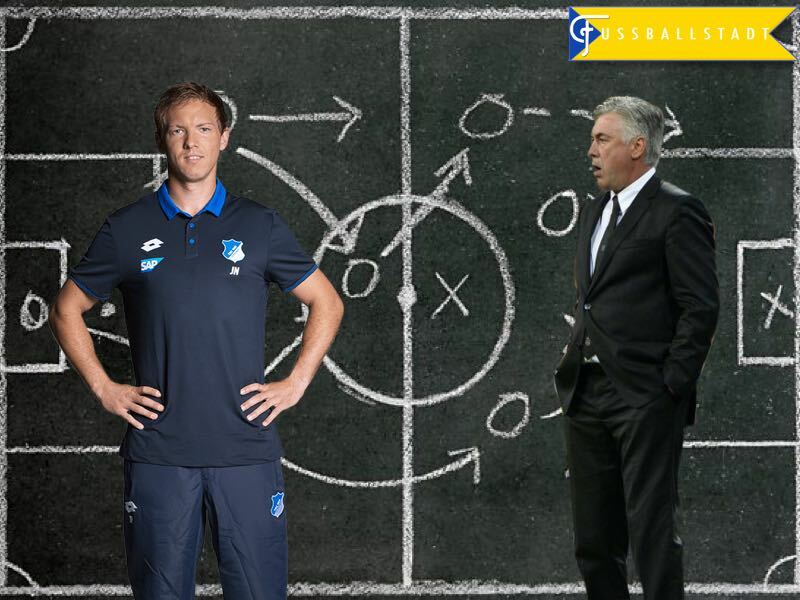 Nagelsmann’s success at Hoffenheim has, in fact, not gone unnoticed in Munich. 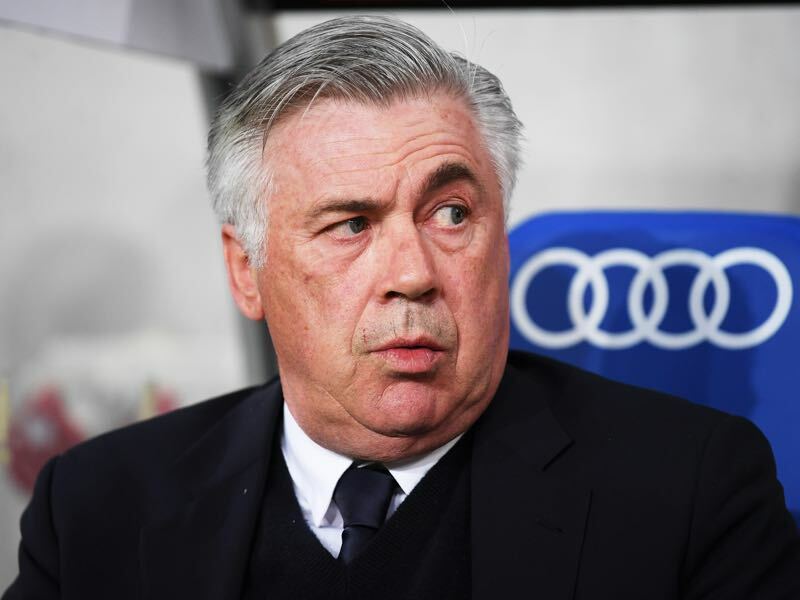 Never shy about poaching the best players and coaches from their domestic opposition, Bayern have reportedly identified Julian Nagelsmann to, one day, succeed current Bayern head coach, Carlo Ancelotti. Furthermore, Hoffenheim’s Niklas Süle and Sebastian Rudy have already announced that they will leave Hoffenheim to join Bayern at the end of the season. With this in mind, Hoffenheim’s home match against Bayern was widely anticipated. 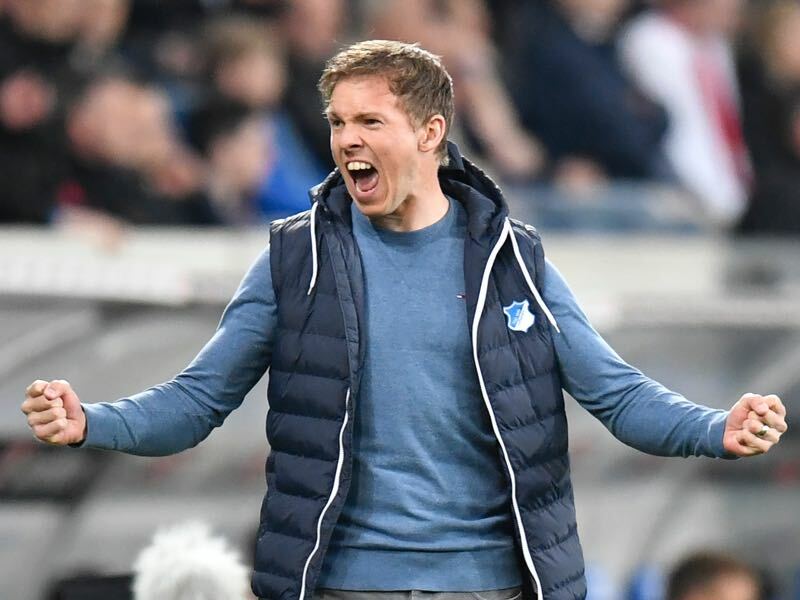 For Nagelsmann, the match against Bayern was, therefore, a sort of litmus test for his tactical astuteness against big clubs. Furthermore, with the club likely playing in the Champions League next season Bayern is the sort of challenge the club could face regularly next year. As expected, Hoffenheim sat somewhat deep trying to absorb the pressure that was caused by Bayern’s attacking line. Carlo Ancelotti somewhat surprised the experts by placing Arturo Vidal between the speedy Kingsley Coman, and Arjen Robben. Renato Sanches, in the meantime, got the start in the holding midfield next to Xabi Alonso. The young and talented Portuguese midfielder got a rare start, and used his opportunity to break forward and exchange positions with Vidal. It was clear that Bayern wanted to break up Hoffenheim’s three-man defensive line by stretching them apart as they had to deal with the multiple threats in midfield. Hoffenheim, however, was untroubled by Bayern’s tactical setup and broke forward on several occasions. In fact, it became very apparent that Bayern had difficulties compensating for the loss of Manuel Neuer. Whereas the German national team keeper is known for his sweeper keeper style of play, his replacement, Sven Ulreich, likes to hang back, which meant that Hoffenheim were able to break free several times, and it very much felt that the goal would come on a counter attack. But, in the end it, was a long distance shot by Andrej Kramarić that broke the deadlock. Ulreich got a hand to the ball, and there was a general feeling that Neuer would have stopped the shot. The early lead played right into Hoffenheim’s hands. Die Kraichgauer were now able to sit deep, allowing their three-man backline to absorb the pressure, and then breaking forward using the two wing-backs Steven Zuber (on the left), and Jeremy Toljan (on the right), who would sit deep to create a back five, just to quickly break forward in order to support the forwards Sandro Wagner, and Kramarić. This setup meant that Hoffenheim could break forward in an instant when Bayern lost the ball up front. Hoffenheim, in fact, should have had a second goal from one of those counterattacks, but Ulreich stopped a close range shot by Kramarić in the 40th minute after Hoffenheim combined well to break forward quickly. 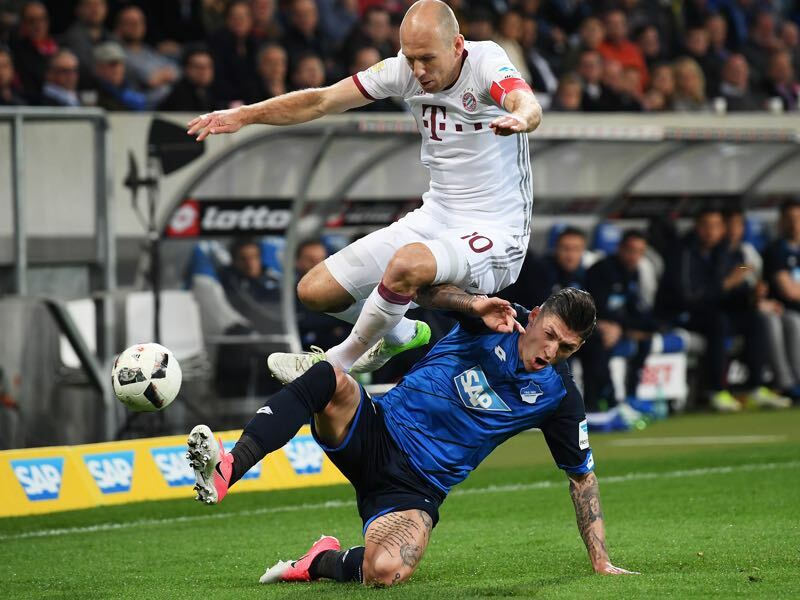 As it was, Hoffenheim remained vulnerable to Bayern’s imposing talent and, just before halftime, the Bavarians almost equalized through Robert Lewandowski after they caught Hoffenheim up high. It was one of the rare occasions in which Hoffenheim were to slow to track back, and Bayern’s limitless talent should have hurt them, but Lewandowski only hit the post. As it was, Hoffenheim went into the second half with a goal up. Hoffenheim started the second half sitting back, breaking up Bayern’s attacking play with little fouls. Nonetheless Bayern should have equalized through Lewandowski, who had a clear chance from 15 yards out, but Oliver Baumann did brilliantly to turn the ball around the post. Hoffenheim perhaps showed a bit too much respect in the opening ten minutes of the second half. At this point, it seemed only a matter of time for Bayern to equalize, but Achtzehn99 did well to close down both wings making it impossible for Coman and Robben to find space to turn the defenders inside out. At the same time, Julian Nagelsmann seemed disappointed with the opening 15 minutes of his team. As a result, Pirmin Schwegler came on for Kerem Demirbay, and Ádám Szalai was brought on for Sandro Wagner. It was an interesting move by Nagelsmann, who was trying to gain the upper hand of the play again by bringing in fresh legs. The substitution, however, raised some questions. Should Nagelsmann have brought on a faster player than Wagner in order to capitalize from a counterattack? Ultimately Schwegler’s introduction meant that Hoffenheim somewhat regained composure and control in midfield. Bayern’s momentum appeared to fizzle out around the 70th minute and, as a result, Carlo Ancelotti reacted by bringing on Frank Ribéry. Julian Nagelsmann countered by bringing on Marco Terrazzino, who plays as a forward, for the seemingly exhausted Sebastian Rudy. With Terrazzino, Hoffenheim played with three real forwards, which meant that they essentially switched to a 3-4-3. Furthermore, Terrazzino finally provided them with a pacy forward, who could act as an outlet for fast counterattacks. Terrazzino, however, was given very little opportunity to show his speed. Hoffenheim sat back deep, absorbing all the pressure, not allowing a Bayern a clear line of the goal. At that point, Julian Nagelsmann, who should have been happy with the result, was shown directing his players to move forward. Perhaps Hoffenheim’s biggest fault at this point was that they were too passive and allowed Bayern to develop their attacking play. When Hoffenheim did break forward they appeared tired and were not able to complete their attacking plays. In the end, Hoffenheim had to hang on for their dear life. It was at this point that Julian Nagelsmann’s back three was,most effective in that the three defenders gave Bayern no room in the box to settle the ball probably. Niklas Süle, especially, showed why Bayern have signed him. The defender was strong in the box using his big body to wrestle off Bayern attackers and to block shots. Julian Nagelsmann outfoxed Carlo Ancelotti in the first half. Ultimately, Hoffenheim should have been up by two or three goals after the first half, but the tight result meant that Bayern were still alive going into the interval. In the second half, Bayern pressed, and it was obvious that they had the superior talent on the pitch. But Hoffenheim did well to absorb the pressure in the second half. Perhaps the only negative for Nagelsmann’s men was the fact that they failed to break Bayern’s deadlock over the second half. The next step in the club’s development, therefore, is to be able to control a match against a top side for the full 90 minutes.